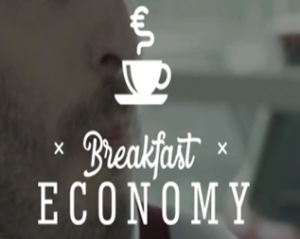 The Gruppo 24 ORE’s advertising agency and the Dude creative agency have created “Breakfast Economy”, a format of branded content cross media that is developed in 7 weekly installments within a web site of the Sole 24 Ore site. Sponsor of the first edition of Economy Breakfast is Fca. The web serie, also through a dose of irony and humor, aims to master the economic concepts such as nudge, endowment effect, positional goods and other basic principles of the behavioral economy. Each episode is therefore a microlection of the economy whose protagonist is Luciano Canova, professor of experimental economics and happiness, who gives a response to questions that only appear to be bizarre but appear to be anecdotes useful to the understanding of the more complex economic principles. The cross media format is supported by a digital planning on all news sites in System 24 (IlPost, La7, Free Daily, Letter43, Affaritalian, 3BMeteo, Globalist and others) and includes a radio declination involving Radio 24, extending its horizons, with 60-second pills that will then be available for download on the web channel.